If you read this article, you're going to understand which social media sites are best for your brand or business. You won't have to waste your time messing around on social media sites that have no ROI, and you even might do better at gaining leads on the social media sites that are perfect for your business. Social media isn't a fad or trend. It's an enduring reality of online existence. For marketers, it's indispensable. But when you approach social media as a marketing channel, things may get a bit confusing. Here's why. Social media marketing includes a myriad of potential social media sites, a vast array of ways to engage, and a medley of styles for each platform. It's more than just Facebook. You need to figure out which of the legion networks to join. Then, you need to determine optimal messages, posting frequency, cost of social media management, integration with other marketing channels, and how to make the most of the billions of people who are purportedly hanging out on social media. A caveat is in order. Simply because you have followers doesn't mean that you have an audience. The Next Web, reported that anywhere between 67.65 and 137.76 million Facebook accounts are fake. Simply having a bunch of followers doesn't guarantee that you have a human audience. If you buy followers, you are almost assuredly buying fake accounts. While these fake accounts might be great for follower numbers, they don't do much for your actual marketing. 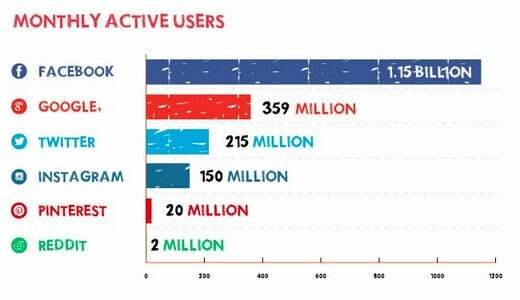 Big social media numbers doesn't mean big activity. For example, there are over 1 billion Google users, but only 35% percent of those users were active in the past month. Twitter, too, has a lot of members with a relatively low number of active members. 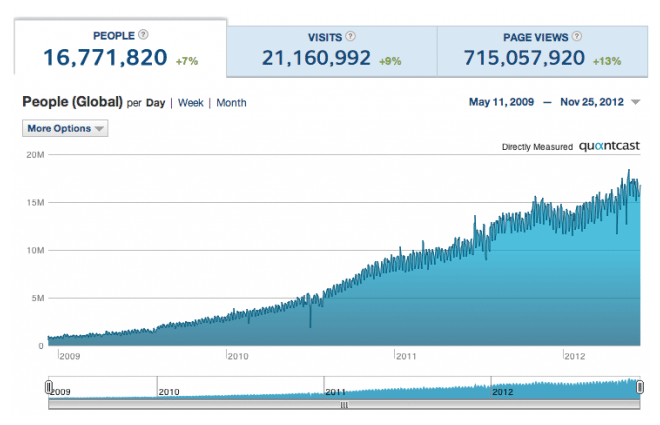 Of the site's 645,750,000 signups, only a portion of those are active each month. There's a disparity between overall members on a site, and number of active members on the site. As I've discussed before, people use social media for searching, not only socializing. Someone might tell you, "OMG! You have to join this social media site! We get all our leads from it!" Okay, that's great. But that doesn't mean that your businessneeds to be there. What kind of business do they have? If they are a boutique silk scarf seller, and found a social media site for silk scarf aficionados, then they've obviously find the right social media site. But if you're a SaaS business, chances are you won't gain as many warm leads from silk scarf social media sites. I've provided these four questions as a framework for determining your social media strategy. Don't join randomly. Instead, choose intentionally, by answering the four questions. These users aren't only browsing profile updates or viewing photos. Each Facebook user is connected to an average of 80 pages, groups, or events. That's where you come in -- your marketing efforts and Facebook presence. Twitter isn't as much a lead generation platform as much as it is a brand loyalty platform. For example. 85% of Twitter users "feel more connected" to a business after they follow them on Twitter. Great content from a brand on Twitter can elicit follows and retweets, but usually an existing customer will decide to follow a favorite brand. According to Search Engine Journal, marketers love Twitter, Facebook, and Google+. They leave out LinkedIn. But here's the deal. LinkedIn is the platform for B2B marketing not B2C marketing. LinkedIn proudly touts their user base of professionals. Many of those professionals are connected with companies. These companies could benefit from the extra marketing love. Don't neglect LinkedIn, especially if you're in B2C. Savvy marketers labelled 2014 "The year of Google+." At the beginning of the year, writers prophesied, "Google+ will become a major factor in social media." Turns out, they're right. 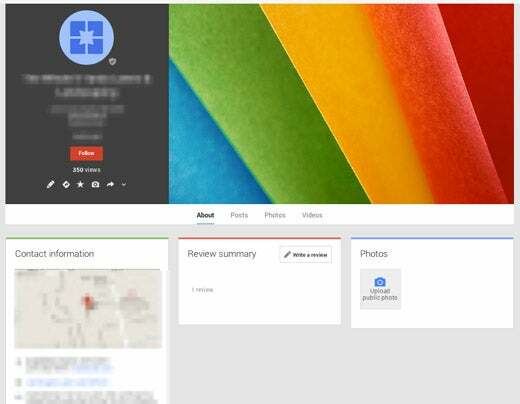 Google+ is a game changer in the social media landscape. When you combine Google Authorship with the world's dominant search engine, and create a social media platform that integrates them, it's no wonder that Google+ is turning up as a dominant form of online social interaction. Google+ has also found a sweet spot in social collaboration through Hangouts. Clearly, Google+ is not a social network to be forgotten or summarily dismissed as "just another social network." It's a powerful algorithmic factor as well as a large audience forum. Their problem isn't lack of audience or zero ROI, but lack of the company's own activity on Google+. The above profile features default images, incomplete information, and no network curation. Those are the big four. Whatever you're selling, doing, being, or saying, these are the four social media accounts you need to keep active. These are called "the lesser three" (my term) only because they're not part of the big four. These social media sites are huge, and I strongly encourage you to be present on them as well as the big four. Early in its life, Pinterest got labelled as a social platform for women. At first, that was true. But now, women account for about half of Pinterest pinners, which isn't much different from the gender slant on other social media sites. Pinterest is a place to be for any gender, any company, and any brand. I've found that Instagram is a powerful way for promoting both one's personal brand and a business, too. In spite of my not-so-often posting, I discovered that liking and commenting on other photos is a powerful way to grow a massive following. Instagram is a visual platform. We already know that pictures get 5x higher engagement on Twitter, and photos make up 93% of the most engaging Facebook posts. With Instagram, it's all photos and video. That kind of visceral appeal is one of the reasons for Instagram's massive popularity. Throw video into the mix, and you've got a social media channel that is basically addicting. Visual content in social media is electric. 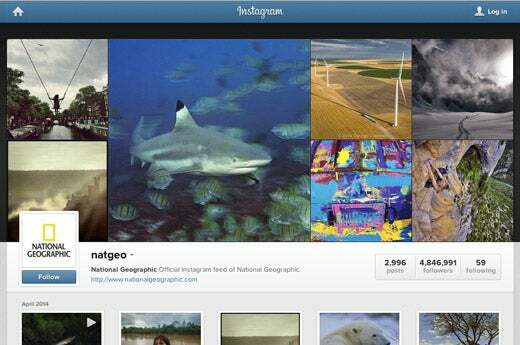 Some social media marketers have argued that Instagram only serves the purposes of image-heavy brand content for companies like National Geographic. Sure, National Geographic's Instagram channel is killer, and they have a strong 4.8 million followers. However, I would argue that Instagram is effective for nearly any type of business. I've seen successful fitness coaches, book sellers, conference speakers, coders, video game designers, SEO companies, and accountants make a dent in the Instagram universe. YouTube has the distinguished position of being the second largest search engine in the world. That's no small feat, considering that Bing and Yahoo have been vying (unsuccessfully) for that position. YouTube did it without even trying. Some brands lend themselves to video virality more than others, but any brand can post videos. A video doesn't have to be expensive or fancy in order to be effective in brand promotion. It needs to be on YouTube. My word "little" needs a bit of a disclaimer. These social media sites are massive. However, as social media marketing platforms, their benefit comes in their niche sub communities for people of a shared interest. On Facebook, you might socialize with people whom you went to school with -- friends from past and present. On Tumblr, however, you might interact with people who share your interest in, say, aerial photography drones. In that sense, your audience might be smaller, but more focused. Even though it's technically a "blogging platform," Tumblr has enjoyed meteoric growth in its young life. Last year, Tumblr was raking in monthly pageviews that soared over 5 billion. With smart posting (i.e., great content), and consistency, many marketers have discovered that Tumblr is an ideal place to make an impact within one's niche. Some marketers actually host their company blog on Tumblr. (This is something which I don't recommend for SEO purposes). 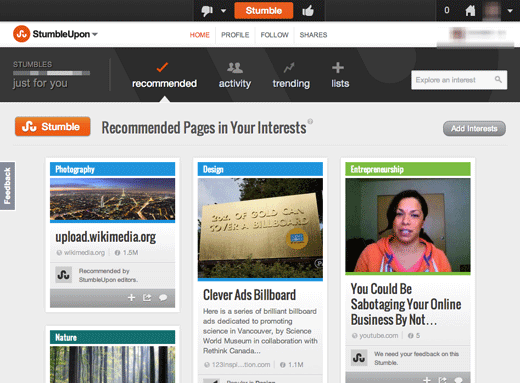 For champions of content marketing, StumbleUpon is a winner. SocialMediaExaminer calls StumbleUpon a "content discovery engine." But, like any content, it has to be good in order to get discovered and given the thumbs-up. StumbleUpon delivers personalized content to each user based on that individual's unique series of thumbs-up and thumbs-down. Reddit is a news site, basically. But as a social media news site, it has an appeal that goes beyond mere "headlines." These headlines are voted up and virally shared. So maybe a dog saying "Hiiiii!" isn't quite as meaningful as business news or government decision-making. But still, Reddit is a marketing channel that might work for some companies. Of all the social media sites, Reddit is with the highest percentage of news-readers -- 62% according to Pew researchers. Last, you should explore the niche social media landscape. You might discover that it's an absolute waste of time and there is zero ROI. Or, on the other hand, you might find a world of untapped potential and dozens of warm leads. It's worth doing some exploring. As you engage social media, you'll discover the social nuances of your own niche. It will look different for every business, region, target audience, and personal style. What social media sites have you discovered to be useful for your business?